Booked Explorer for the day to celebrate our Anniversary. What a brilliant time. 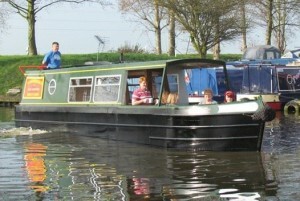 The staff are exceptionally good, and we were shown how to drive the boat etc. Children were all fitted with life jackets, and made to feel part of the team. We then spent the next 7 hours watching the world go by as we headed to Outwell. Would recommend this to anyone, and will be back soon to have another go.